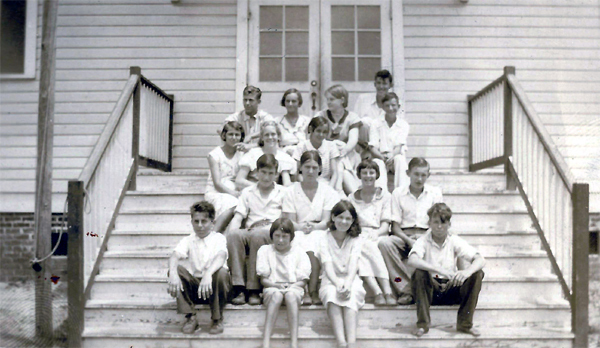 Students of the Dauphin Island School. the second row from the top, Second on the left (blonde hair with puffy sleeves)." In this photo, the school was at a location near the historic Indian Shell Mounds. The features of the building match those in other photographs. of the children, we believe the photo was taken between 1928 and 1932.